I've just bought this for my other camera as I've been using one for over a year now. I have been using it with a Sony PD170 and I use it with Sandisk Extreme 64GB Compact Flash (60mb/s) and it works great. I haven't tried other cards but read that this thing prefers the Sandisk ones. I'm not willing to try cheaper cards as a re-shoot is more expensive or impossible = no pay. The 8sec pre record is awesome as you never miss that unexpected moment (SD only, apparently no option for HD). One thing I will say is I modded a cheap camera light that uses a Sony NP-F970 battery and I get 19hrs of recording time out of it. Since then I am now using Panasonic Evolta HHR-3XXE Rechargeable AA Batteries (2450mAh) and I get around 5hrs recording time out of them (DV though, not HD).. This thing has been totally reliable for over a year without any problems. Don't forget you need to 'Make Media Files' on the recorder after filming first and then copy the files on a compact flash reader to your PC (at 60mb a sec on a USB3 reader). I'll never use tapes again. I received my DataVideo DN-60A recorder today along with the 128Gb CF Card. Thanks for that. The setup of the device was actually quite simple; it comes with a clear 9 step quick-start guide, and if you follow it carefully, then getting started is actually quite easy and you can be up and running within about 10 minutes. Where I ran into trouble was in getting the footage from the device into my computer for editing. I mistakenly assumed that if I plugged the device into my PC's Firewire port, that it would be recognised as a Firewire storage device and allow you to read the video data files directly from the card via the device. Instead, it was recognised as a Firewire video recorder, so in order to get the footage from the device into the computer, it meant that I had to start up Adobe Premiere and attempt to 'capture' the footage from the device by playing the footage back into the computer (much like I would from MiniDV cassette, which kind of defeats the purpose of the device). Having tried this with HDV footage, the captured footage was unplayable; it had all kind of digital distortion all through it, it basically locked up on the the first frame and was utterly useless. The audio was fine though. I then attempted the same with DV footage; it played back and captured much better, but near the end of a 20 second clip it suddenly jumped and skipped a second or two of the original footage before continuing to the end of the clip. Oh, also, one step that I've read that a lot of people seem to forget - before you eject the CF Card from the DN-60A, you must go to "Tools" > "Make Media Files". This will take a short time to process and it just finalizes all the clips ready to be read by a PC. If you forget to do this, the PC won't be able to recognise any of the files. Something else I have learned is that the device does not yet appear to recognise CF Card capacities above 64Gb and, according to their online FAQ, also only supports up to UDMA6, 133MB/s cards. I got the 128Gb UDMA7 160MB/s card; it does still work with this card, however it is only recognising it as being 64Gb (although, when I connect it to the PC, it is showing up as 128Gb, so it may yet be possible that the device's display only goes up to 64Gb and that it will still hold a full 128Gb of footage; will have to wait and see on that one). The speed isn't really an issue as HDV footage only has a bit rate of 40MB/s anyway; the extra speed comes in handy for reading back via the external card reader. I don't know if this is something that happens with all cameras or if it's just mine; I'm using both a Sony HVR-FX1E and a Sony HVR-Z1P and on both of them, while I'm recording with the DN-60A, not using the Sync-to-Tape option, if I start recording to MiniDV tape on the camera (as a backup to what I'm recording on the DN-60A), the recording on the DN-60A pauses for about a second while the tape recording kicks in, so on playback of the file, there is a 1 second jump in the footage. There is no affect on the DN-60A's footage when I stop the MiniDV recording, only when I start recording. This happens whether I'm using the camera's "Quick Record" setting or not. It's not a biggie, but just something to be aware of, so that if you are recording something lengthy such as a wedding ceremony for example, and you run out of tape on the MiniDV and have to make a tape-change, perhaps wait for a moment in the ceremony (or whatever you're recording) when it might be ok to lose 1 second of time in the footage on the DN-60A before hitting the record button to resume MiniDV recording. At first .... I'm glad that the shippment is very qucikly and then I found difficult to connect to my Canon XH A1, but finally I can find the solution that I must activated the AVC command in my Canon XH A1 and it works ....now I can take video in tapeless so I don't have to sell my old camcorder. The DN-60 Product is very good has good features and easy to use thanks Global for this product. Globalmediapro doet wat ze beloven. snelle levering geen probleem. VERGEET NIET DAT BIJ BESTELLING EN LEVERING NAAR NEDERLAND ER BTW BETAALT MOET WORDEN. For the price this is a great little gadget to be able to move from tape based capture to memory card. I have a Canon XHA1 HDV camera and a Panasonic DVX102B SD camera. Both cameras can capture to the card (32 gig Kingston 266x) but the card must be formated to each file system. It won't accept HD and SD on the same card. 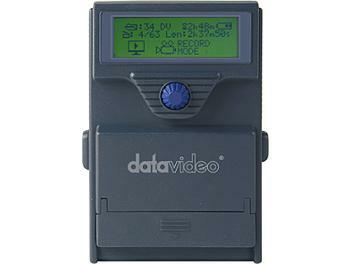 The capture can be instigated by either the camera or the recorder through the firewire connection. This is useful if you are some distance from the camera allowing you to start and stop capture with the recorder. HD capture is in m2v format only but Premiere reads these files without problem. Dumping the video to computer is simple and quick using a Compact Flash card reader. Sure beats waiting an hour or so to transfer the tape to hard drive. The unit is light enough to mount on the camera hot shoe or the tripod with the use of a longer cable. This model may have been discontinued for some reason so firmware updates may no longer be available. Delivery very quick within 5 days... overall very happy.